Bodega Bay: The locals call it "Blow-dega Bay" because it blows all the time and has a reputation for terrible weather. The entry was terrible and the wind has continued, but the skies have been sunny and the people friendly. 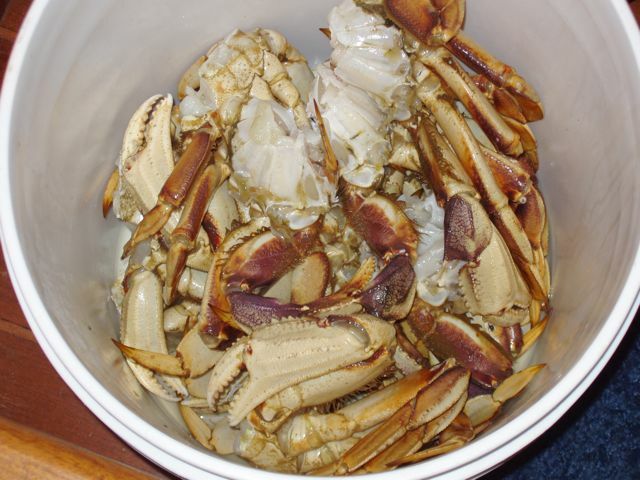 As per the blog, we were given 10 large Dungeness crabs some of which we consumed immediately, and some of which we cooked and froze. We sat out on the dock, eating crab, drinking white box wine, and throwing discards into the harbor. Decadent. Wings pushes through the seas, heading south. 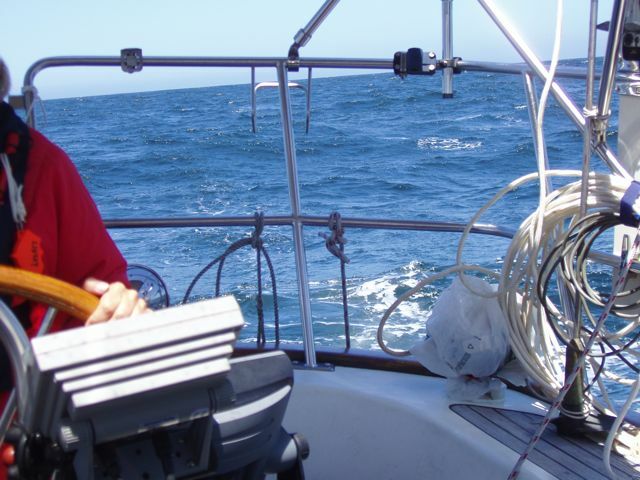 We're offshore about 6 nautical miles (nm). 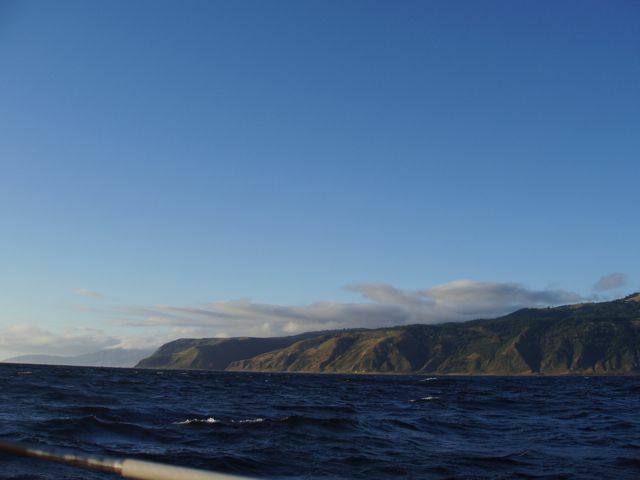 That kept us on the shelf with calmer seas, and we could see the beautiful coast. The southern jetty at Eureka, CA, our refueling stop. 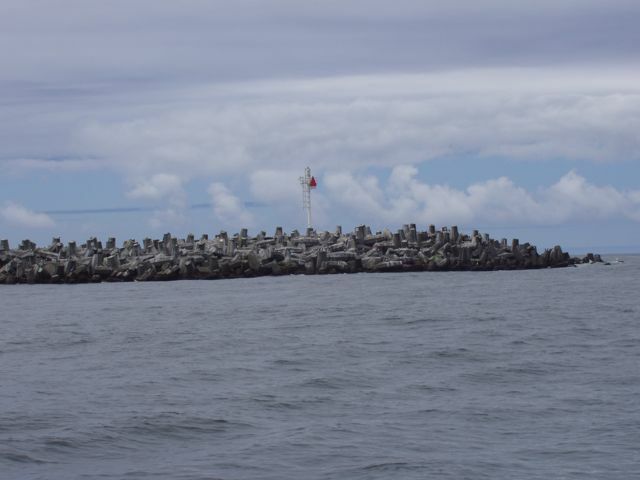 We have grown to love entrance buoys and jetties since they allow a vessel to miss the breakers and gain some protection. This particular jetty is constructed of man-made concrete cylinders, not the usual natural boulders. The dangerous and justly-feared Cape Mendocino, CA. 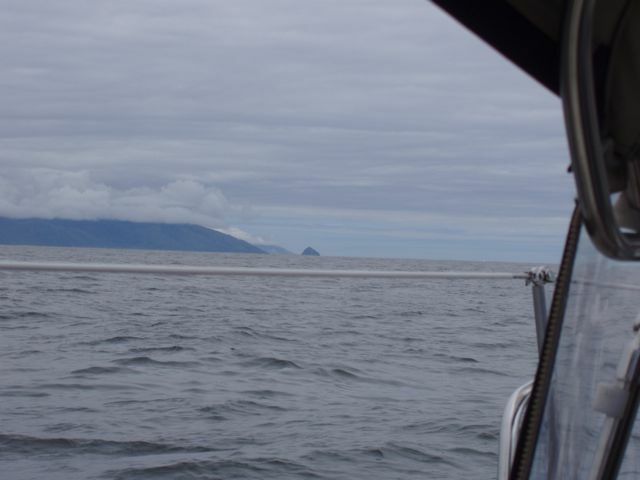 We motored past it in relative calm. 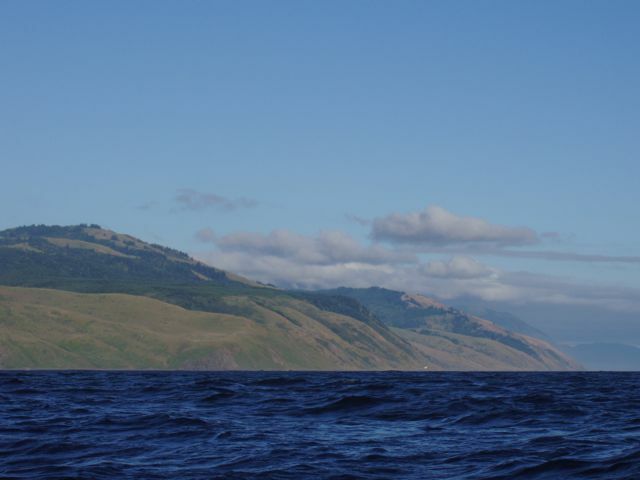 One single-hander we met in Alaska said that it took him several tries to get past the cape, each time being unable to deal with the rough seas and headwinds. The lovely California coast, late afternoon. The CA Coast, north of Bodega Bay. Highway 101 skirts the coast most of the way. Tiny hamlets and groups of homes lie at intervals along the coast, but some seems untouched. I should NOT be able to look upward and see waves behind us! 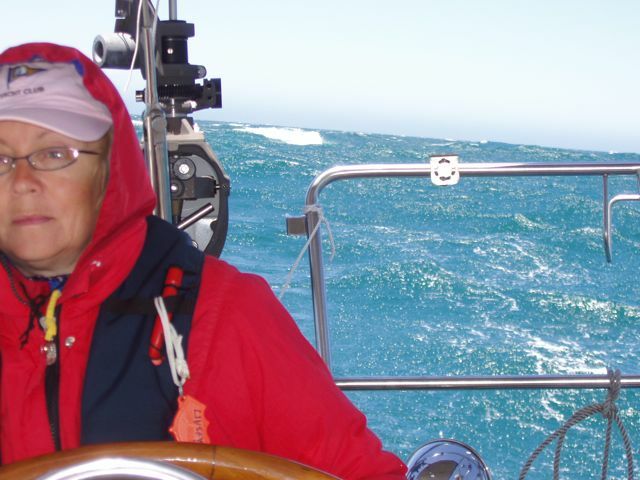 Steady wind at 25 knots, gusts to 30, and 10-12 foot seas made our several hour tricks at the wheel a challenge. Blowing wave crests, white caps, and big wind. 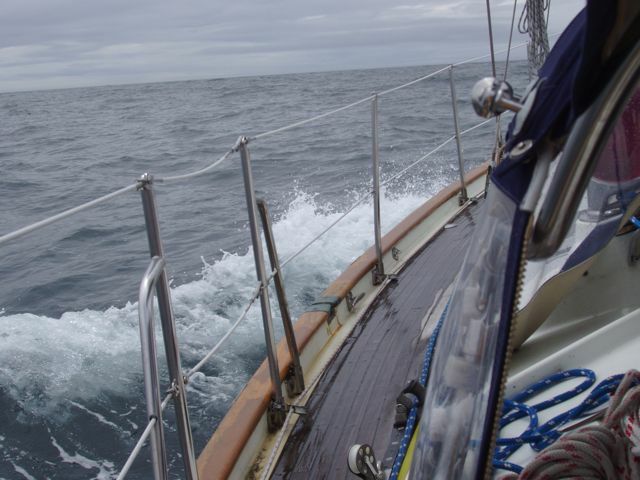 Photos cannot include the wind and water sounds. Our newly installed water generator is at right. Crab! Nice fresh crab, prepared for the pot. Crack the shell over a dock cleat, pull off the shells and goo, good to go. What a drag it must be to be a brainless animal that tastes great.